Revelstoke (/ˈrɛvəlstoʊk/ is a city in southeastern British Columbia, Canada with a census population of 6,719 in 2016. By 2019, using smartphone data from Telus Insights, the community reported 14,570 actual residents in December 2018. Revelstoke is located 641 kilometres (398 mi) east of Vancouver, and 415 kilometres (258 mi) west of Calgary, Alberta. The city is situated on the banks of the Columbia River just south of the Revelstoke Dam and near its confluence with the Illecillewaet River. East of Revelstoke are the Selkirk Mountains and Glacier National Park, penetrated by Rogers Pass used by the Trans-Canada Highway and the Canadian Pacific Railway. South of the community down the Columbia River are the Arrow Lakes, Mount Begbie, and the Kootenays. West of the city is Eagle Pass through the Monashee Mountains and the route to Shuswap Lake. Revelstoke was founded in the 1880s when the Canadian Pacific Railway (CPR) was built through the area; mining was an important early industry. The name was originally Farwell, after a local land owner and surveyor. In yet earlier days, the spot was called the Second Crossing, to differentiate it from the first crossing of the Columbia River by the Canadian Pacific Railway at Donald. The city was named by the Canadian Pacific Railway in appreciation of Lord Revelstoke, head of Baring Brothers & Co., the UK investment bank that, in partnership with Glyn, Mills & Co., saved the Canadian Pacific Railway from bankruptcy in the summer of 1885 by buying the company's unsold bonds, enabling the railway to reach completion. The construction of the Trans-Canada Highway in 1962 further eased access to the region, and since then tourism has been an important feature of the local economy, with skiing having emerged as the most prominent attraction. Mount Revelstoke National Park is just north of the town. The construction of Revelstoke Mountain Resort, a major new ski resort on Mount MacKenzie, just outside town, has been underway since late 2005, and first opened during the 2007-2008 ski season. Revelstoke is also the site of a railway museum. Revelstoke, BC is situated in prime black bear and grizzly bear habitat. In 1994 the Revelstoke garbage dump was fenced with an electric fence excluding bears from feeding on the garbage. The population of bears that had been feeding at the dump turned to town to forage for food and many were destroyed as 'nuisance bears'. The destruction of so many bears led to the creation of an education program meant to keep bears wild and the community safe. Revelstoke holds the Canadian record for snowiest single winter. 2447 cm of snow fell on Mt. Copeland outside town during the winter of 1971-72. That works out to just over 80 feet of snow. The townsite received 779 cm and snow levels were higher than many roofs around town by more than a few metres. Revelstoke's economy has traditionally been tied to the Canadian Pacific Railway (CPR) and it still maintains a strong connection to that industry. However forestry, construction, tourism and retail have increased over the past decades. Today, telecommuters, freelancers, tech workers and entrepreneurs play an increasingly important role in Revelstoke's success. The city is served by Revelstoke Airport and was one of the first Canadian cities to have fibre internet installed. Revelstoke is also the location of the Revelstoke Dam which was constructed on the Columbia River, and completed in 1984. In 1986, to offset the economic effects of the completed hydroelectric project and the temporary closure of the local sawmill, the City of Revelstoke undertook a downtown revitalization program and it was completed with marked success. A small ski resort featuring a single short lift has operated on Mount MacKenzie since the 1960s, and snowcat skiing was offered for higher altitudes. A strong movement pushed to expand the entire mountain into a single resort, and construction started in the early 2000s (decade). Revelstoke Mountain Resort opened in the winter of 2007/8 and boasts North America's greatest vertical at 1,713 metres (5,620 ft). The resort also offers 3,121 acres of fall line skiing, high alpine bowls, 13 areas of gladed terrain and more groomed terrain. Revelstoke Mountain Resort is also the only resort world-wide to offer lift, cat, heli and backcountry skiing from one village base. The resort will continue development, though economic conditions starting in late 2008 have deferred its initial plans. Revelstoke has produced some talented athletes in winter sports, notably ice hockey. The former local BCJHL team, the Revelstoke Bruins, had a number of future NHLers on its roster in the 1970s and 1980s, including Bruce Holloway, Ron Flockhart, and Rudy Poeschek. The current Revelstoke Kootenay International Junior Hockey League team is the Revelstoke Grizzlies, the former KIJHL team of locally born Aaron Volpatti. Another notable professional hockey player for the Austrian Hockey League is Andrew Kozek who was also born in Revelstoke. Norwegian immigrants brought skiing and ski jumping to Revelstoke, and by the 1910s, several ski jumping hills had been built around town. Revelstoke Ski Club was founded in 1914, and by the following year had reached 102 members. The pinnacle of the club was the annual Winter Carnival Tournament. The first tournament was held in 1915, and had, in addition to cross-country skiing competitions, ski jumping competitions for boys under 16 and the title of Champion of British Columbia. Nels Nelsen Hill, first known as Big Hill, opened in 1916. Revelstoke became an international center for ski jumping, attracting the world elite for the annual tournament. Revelstoke's own Nels Nelsen set the world records in the hill, at 73 meters (240 ft) in 1925 and 82 meters (269 ft) set by Bob Lymburne in 1932. The hill was completely renovated by 1948, leading to further international tournaments. The town even considered placing a bid for the 1968 Winter Olympics. However, throughout the 1960s, the interest for ski jumping was declining, with subsequent consequences for the number of spectators. The last tournament was held in 1975. Due to the heavy snowfall in the area, Revelstoke is home to four heli-skiing and two cat-skiing operations. There are numerous backcountry skiing lodges in the area. Revelstoke is also a major snowmobiling destination. In the summer, mountain biking, rock climbing and kayaking are popular activities. In 2010, Revelstoke became part of a select group of ski resorts to feature the Freeskiing World Tour. After a successful trial of combining European and North American skiing tours starting with Revelstoke in 2012, the Swatch Freeride World Tour, Freeskiing World Tour and The North Face Masters of Snowboarding announced a merger that combined all three tours under one unified global 5-star championship series. The six-stop world tour named the Swatch Freeride World Tour by the North Face includes freeride skiing and snowboarding at each stop starting with Revelstoke, Canada and ending with Verbier, Switzerland. Starting in 2015 Revelstoke has hosted the Red Bull Cold Rush, fusing the disciplines of backcountry slopestyle, big mountain, cliffs, and alpine ski touring. The world’s premier skiers are invited to battle it out for a chunk of the $36,000 prize purse awarded in a peer-judged format to the most versatile, well-rounded athletes. In 2011, Revelstoke locals Michael Curran and Stephanie Ells formed Revelstoke Roller Derby Association. The league's premier team, the Derailers, held its debut bouts in the summer of 2012 and won both home games. School District 19 Revelstoke operates public schools in Revelstoke and surrounding areas. The Conseil scolaire francophone de la Colombie-Britannique operates one Francophone school: école des Glaciers primary school. The 1937 British movie The Great Barrier starring Lilli Palmer depicted the building of the Canadian Pacific Railway and featured location shooting from Revelstoke. Some scenes in the 1999 thriller Double Jeopardy starring Ashley Judd and Tommy Lee Jones were filmed in Revelstoke, notably the historic courthouse. The Barber (2001) starring Malcolm McDowell was almost entirely filmed in Revelstoke and features the town name displaced as Revelstoke, Alaska. In 2017, the Hallmark Channel original movie Frozen in Love, starring Rachael Leigh Cook and Niall Matter was filmed in the area. Revelstoke experiences a humid continental climate (Köppen Dfb). The highest temperature ever recorded in Revelstoke was 40.6 °C (105 °F) on 17 July 1941. The coldest temperature ever recorded was −34.4 °C (−30 °F) on 11 January 1909, 20 January 1935 and 18 January 1943. ^ Census Profile, 2016 Census Statistics Canada. Retrieved Oct. 20, 2017. 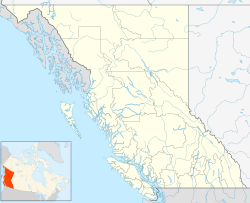 ^ "Revelstoke's population double what Statistics Canada reports". Revelstoke Review. 2019-03-10. Retrieved 2019-03-11. ^ Ross, Oakland (25 October 2009). "The worst places in Canada for winter". The Star. Toronto. ^ "Community Profiles from the 2011 Census, Statistics Canada – Census Subdivision". 2.statcan.gc.ca. 6 December 2010. Archived from the original on 10 April 2014. Retrieved 13 April 2013. ^ "Aboriginal Peoples – Data table". 2.statcan.ca. 6 October 2010. Retrieved 13 April 2013. ^ Revelstoke Museum and Archives. "Early days of skiing in Revelstoke: 1890-1915". Virtual Museum. Archived from the original on 14 February 2011. Retrieved 14 February 2011. ^ Thoresen, Arne (2007). Lenst gjennom lufta (in Norwegian). Oslo: Versal. p. 372. ISBN 978-82-8188-030-6. ^ Revelstoke Museum and Archives. "Re-opening of the Nels Nelsen Hill and the Tournament of Champions". Virtual Museum. Archived from the original on 14 February 2011. Retrieved 14 February 2011. ^ "Carte des écoles." Conseil scolaire francophone de la Colombie-Britanique. Retrieved on 22 January 2015. ^ Tiel, Marissa (December 4, 2017). "Revelstoke readied for Frozen in Love". "Revelstoke Review". Retrieved December 27, 2017. ^ "Daily Data Report for July 1941". Environment Canada. Retrieved 3 March 2017. ^ "Daily Data Report for January 1909". Environment Canada. Retrieved 3 March 2017. ^ "Daily Data Report for January 1935". Environment Canada. Retrieved 3 March 2017. ^ "Daily Data Report for January 1943". Environment Canada. Retrieved 3 March 2017. ^ "Revelstoke Airport Rd". Environment Canada. Retrieved 3 March 2017. ^ "Revelstoke". Environment Canada. Retrieved 3 March 2017. ^ "Revelstoke Airport Auto". Environment Canada. Retrieved 3 March 2017. Ziegler, Philip (1988). The Sixth Great Power: Barings 1762–1929. London: Collins. ISBN 0-00-217508-8. 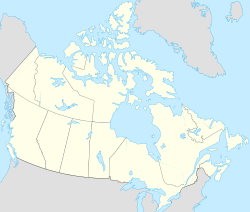 Wikimedia Commons has media related to Revelstoke, British Columbia. "Revelstoke" . Encyclopædia Britannica (11th ed.). 1911. This page was last edited on 20 March 2019, at 23:33 (UTC).